"This dish was always a favorite at Mammaw's house. 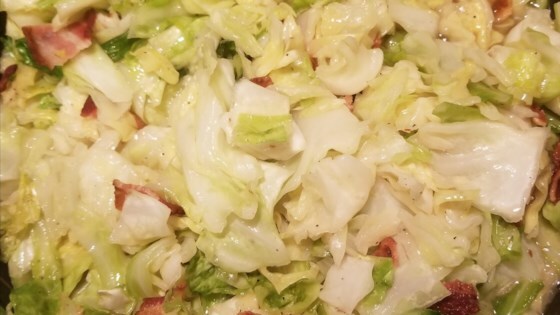 Cabbage is fried with onion and bacon in this simple quick side dish. Terrific with cornbread." Bacon and onions add big flavor to a quick-and-easy Southern side dish. This has become a family favorite of ours that we crave! The only thing I did differently was saute the onions on the side and then added in.